A few years ago, I did an interview with the founder and president of Bluebeat Music, Charlie Lange. During our discussion on the current state of the blues Charlie said, “There is something about youth that imbibes this music with excitement.” I think it is fair to say that as the performers and their audience seem to age, the excitement level in the blues music field is in decline. This notion had a profound impact on my thinking as it relates to BLUES JUNCTION. As we continue to honor and celebrate the veteran performers who got us this far, I think it is important to be mindful of the youth who have chosen this field and represent the future of this music. They do so knowing full well the hardships they are likely to endure. Yet, they answer the call and follow their muse. Their courage is celebrated here in the JUNCTION. One of these emerging artists is Nikki Hill. I caught up with this exciting musician five years ago as her debut album, Here’s Nikki Hill, hit the streets. Hill is an engaging live performer and has made two more albums and an EP since we first sat down for this interview. Nikki Hill, who is back on the road and will be coming to the home of BLUES JUNCTION, Huntington Beach, California, on December 7th, returns to our Monthly Artist Spotlight. She also has a brand new album, Feline Roots, which is scheduled for a November 16th release. Last year I did an interview with an 18-year-old guitar phenom out of Texas named Dylan Bishop. He has just released his second CD entitled Distilled. This brand new release is the subject of our Monthly Album Spotlight feature. As always, we have a rather robust Recommended Listening feature to share with you. We spotlight 13 CDs which are brand new and soon to be released offerings. Charlie Lange has once again rounded up a whole bunch of old noise for his Re-Issue Rodeo. Doug Deming & The Jewel Tones have a brand-new album out and it is a beauty. It is reviewed here in the November edition of BLUES JUNCTION. Anthony Geraci has released another terrific new album and it is alse reviewed here. On Tuesday, November 6th, Americans went to the polls in the most important mid-term election in my lifetime. As you might suspect I have some thoughts on that as well. You can read my musings in an editorial entitled America Looked into the Mirror. 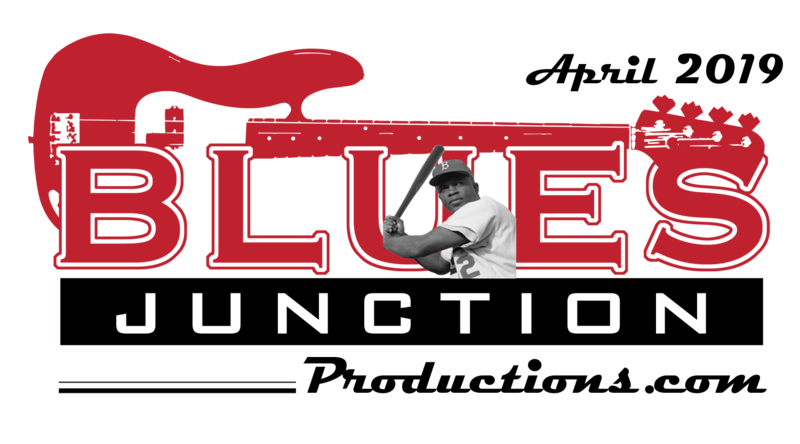 There you have it; the history and the future of the blues in another content laden edition of BLUES JUNCTION. We are very thankful that you have decided to join us on our journey. Thanks always for the letters of encouragement and kind words that you have shared with me over the past month. I get a real kick out of hearing from you folks who have proven yourself over the years to make up a very loyal readership base.